Growing our own food, using nature as a guide and incorporating sustainable practices is good for our bodies and good for the earth. This series of 3 classes cover the essential topics — planning the garden, using organic sustainable techniques to develop healthy productive gardens, and growing good garden soil. These practices are on display at the Prince William Master Gardener Teaching Garden in Bristow and showcased in their Saturday in the Garden programs. Taught by the Master Gardener Cook’s Garden Team. This is a free program, but please register by email or call 703-792-7747. Green Matters Symposium – Doug Tallamy speaking. 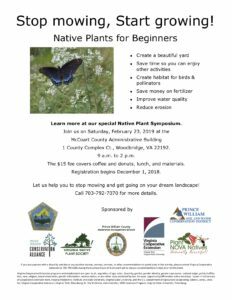 This lecture from the Master Gardeners of Prince William Education Committee discusses the benefits of native plants and features 25 specimen plants. The lecture is led by Keith Tomlinson of Meadowlark Botanical Gardens. This is a free program, but please register by calling 703-792-7747. Talks by Larry Weaner, Barbara Pleasant, Sara Via, and Nancy Lawson. (Adult) Winter is the perfect time to plan improvements to our gardens. Garden designer and international traveler Carolyn Mullet shares design images from her European garden travels that we can adapt and use for our own garden designs. Carolyn will show us how we can modify these “foreign” inspirations, both fun and functional, and how to find inspiration of our own. (Adult) Botanist and plant breeder John Boggan grows and writes about hardy palms, bananas, begonias, gesneriads, and just about anything else that’s tropical or exotic to the DC area. John shares his experience and trials of growing these beautiful tropicals and how you can have success pushing the growing zones. (Adults) Learn the fundamentals for selecting and growing fabulous roses. Lewis Ginter Botanic Garden horticulturalist Laurie McMinn will introduce you to old family heirloom roses as well as many new roses that may become your favorites! Laurie shares the essentials of rose care and beyond, including pruning for spring plant health, nurturing great blooms, and identifying pests and diseases. Your roses will thank you. (Adult) Trees are the keystone plants of a garden. 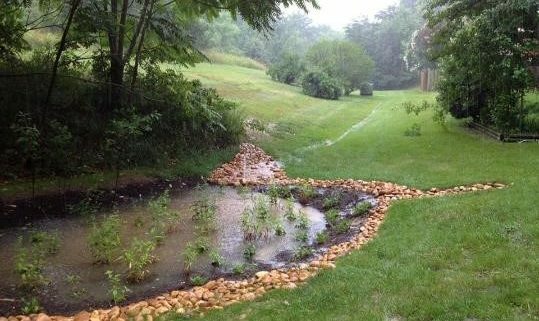 With careful selection and proper planting, they can thrive with minimal care, rewarding us with beauty, shade, energy savings, and wildlife habitat. National Arboretum Head of Horticulture Scott Aker turns us into smarter consumers and gardeners as he illustrates how trees are marketed to homeowners. He offers, tips on proper planting techniques, and demonstrates a quick and easy way to determine a tree’s health. Learn about trees that are well-adapted to our area and that Scott recommends to homeowners. (Adult) Join the Friends of Green Spring in viewing the documentary, Five Seasons: The Gardens of Piet Oudolf. This documentary immerses viewers in Oudolf’s work and takes us inside his creative process, from his beautifully abstract sketches, to theories on beauty, to the ecological implications of his ideas. Discussion to follow. (Adults) Make the most of your gardening efforts by growing plants that are beautiful outside and inside as cut flowers and fillers. 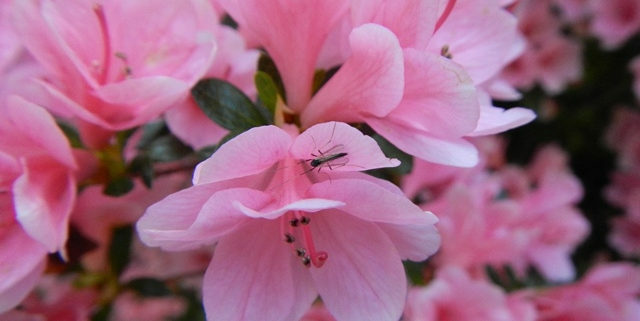 Horticulturalist Karen Rexrode shares some favorite plants that are both beautiful ornamental garden plants and unusual cut flowers. These lovely arrangements exercise your creativity, give you confidence in plant combinations and allow you to appreciate individual plants details. (Adults) Learn how to grow an organic garden where good bugs eat bad bugs, pollinators are abundant and the beautiful bouquet on the table came from your garden! 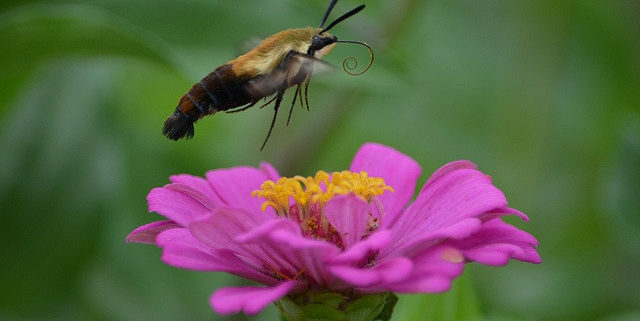 Flower Farmer Lisa Ziegler tells all as she shares why flowers are the missing piece in many vegetable gardens as they attract pollinators, beneficial insects and other good creatures to complete the circle of life. Learn how to garden without using any pesticides that can harm and kill the very beneficial creatures we want to live in the garden. (Adults) What was that insect I saw in the garden last summer? Why didn’t I see many butterflies last summer? How can I have more fireflies in my backyard? Bring your bug questions and stories to this mid-winter information exchange about insects. Join entomologist Nate Erwin for a colorful slide show of insects and their associated plants and then join a lively discussion about those spineless creatures that do so much for and in our gardens. Space is limited this year so register early! Join Waynesboro Parks and Recreation as they present A Gardener’s Palette. They’ll dip your brush in a variety of topics offering something for everyone from garden hobbyist to experienced landscape architect. In the end, you’ll have a canvas filled with colors and perspectives to consider and put in practice. Topics include Ironclad and Essential Native Trees and Shrubs, The Foodscape Revolution (planting edibles), Hanging Out with Shady Characters, and Plants of the Bible. Register or learn more by planting yourself here. 1 County Complex Ct., Woodbridge, VA 22192. The $15 fee covers coffee and donuts, lunch, and materials. Registration begins December 1, 2018. Let us help you to stop mowing and get going on your dream landscape! Call 703-792-7070 for more details and share the flyer. Mark Your Ballot: Goldenrods or Asters? If you pause for a minute in front of blooming goldenrods and asters, you will be astonished at the number of bees foraging for nectar and pollen, including many of the hundreds of species of native bees and the non-native honeybees. 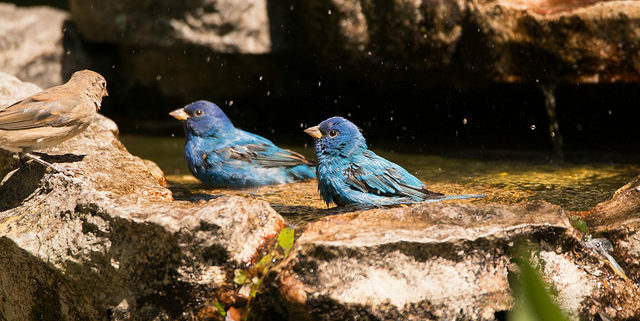 If the sun is shining and the temperature is high enough, you will also be treated to the sight of butterflies and skippers flitting from flower to flower. Look very closely at the goldenrod flowers and you will find a whole world of tiny beetles and other creatures hiding between the blossoms. There are many species of goldenrods and asters, all very easy to grow. They come in different sizes, and asters come in different colors. Some self-seed exuberantly, some are more contained. You can find out the details by consulting the Plant NOVA Natives online search app. Late autumn is not too late to plant, as the roots will continue to grow even as the tops die back. Cast your ballot on our Bloom Time Table page by clicking here to choose your favorite. Or vote instead on the Plant NOVA Natives Facebook page. Polls close at 7 pm on November 6, of course! We know who the insects are voting for: there is nothing elective for them about native plants, upon which they are completely dependent. To help you choose, check out the “campaign ads” on this short video. https://fairfaxmasternaturalists.org/wp-content/uploads/2017/12/Plant-NoVA-Natives-Logo-Lonicera-sempervirens-and-Hemaris-diffinis-revised-e1545595921393.png 278 500 Marilyn Kupetz https://fairfaxmasternaturalists.org/wp-content/uploads/2017/02/FMN-Logo-300x222-1-300x222.png Marilyn Kupetz2018-10-23 00:47:342018-10-23 00:47:34Mark Your Ballot: Goldenrods or Asters? Everything wonderful from the print version of Flora of Virginia can now fit in your pocket and make you feel like a pro in the woods. The app, for Android and iOS devices, features an easy-to-use Graphic Key, in addition to the traditional dichotomous keys. Species descriptions include photographs, and many include a botanical illustration. Marion Blois Lobstein is Professor Emeritus of NVCC, where she taught botany, general biology, microbiology, and other courses over her thirty-seven-year teaching career. For many years she conducted tours and taught classes for the Smithsonian Resident Associates Program. Her academic degrees Include a BSEd (Biology) from W. Carolina Univ., MAT from UNC-Chapel Hill, and MS in Biology from George Mason Univ. She is co-author of Finding Wildflowers in the Washington-Baltimore Area. Marion serves on the Board of Directors of the Foundation of the Flora of Virginia Project and is a former Board Member of the Foundation of the State Arboretum. 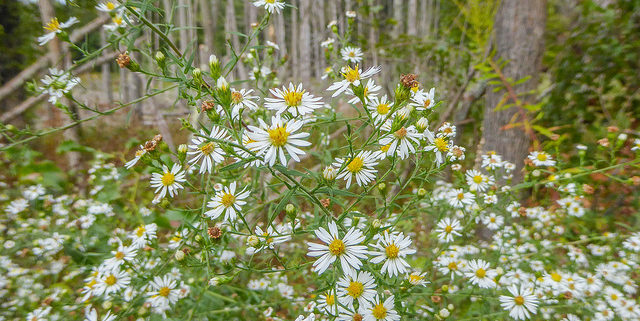 Marion is a founding and active member of the Virginia Native Plant Society. 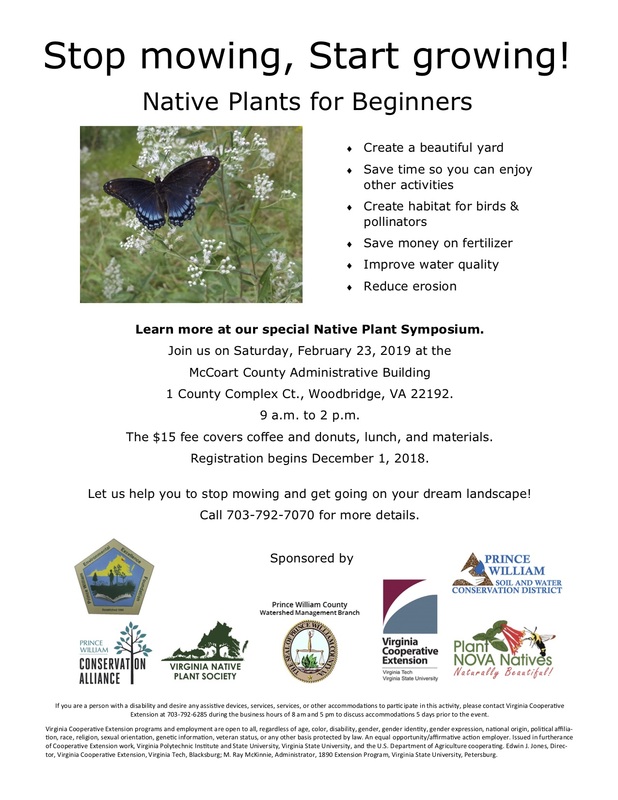 Virginia Native Plant Society programs are free and open to the public. Prior to the talk, VPNS will conduct the business of their annual meeting, voting for chapter officers and approving the 2019 budget. On 29 September 2018, Visitor Services Manager Suzanne Holland thanked Fairfax Master Naturalists for their many contributions to the Park Authority and Hidden Oaks. The 10th anniversary celebration of FMN stewardship highlighted the chapter’s work on behalf of the limited impact development parking lot, the native gardens, and Nature Playce, the children’s playground. More than 125 visitors attended the festivities.